Hibernian have been given a full allocation of tickets for the new year Edinburgh derby against Hearts at Tynecastle. Tickets go on sale to season-ticket holders this morning, just days after only 1,300 Rangers supporters were able to watch Saturday’s top-of-the-table encounter with Hearts in Gorgie. 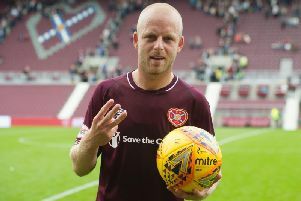 The Ibrox club were afforded a reduced quota of less than half their standard number for the crucial clash, with Hearts officials stating that the controversial change was to reward their own fans’ loyalty this term. However, a similar move for the 3 January Edinburgh derby has been ruled out, with Hibs receiving the whole of the 3,400-capacity Roseburn Stand for another eagerly-awaited Championship showdown.